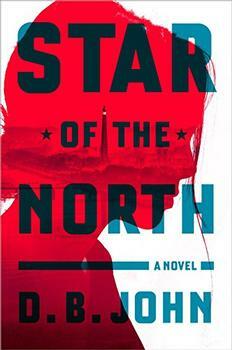 But then war breaks out in Korea, and there is no end in sight to the separation. Miran grows up in prosperous American suburbia, under the shadow of the daughter left behind, as Inja grapples in her war-torn land with ties to a family she doesn't remember. Najin and Calvin desperately seek a reunion with Inja, but are the bonds of love strong enough to reconnect their family over distance, time, and war? And as deep family secrets are revealed, will everything they long for be upended? I recommend this book to anyone who loves language, powerful storytelling, and well-developed characters...Hopefully novels such as these will spur people to think more deeply about the individuals we read about in the news, especially those too young to influence their own future. (Reviewed by BookBrowse First Impression Reviewers). Beautifully illuminate[s] Korea's past in ways that inform our present...Kim infuses a coming-of-age story about being an outsider with the realities of the war, which forced many family separations, some of which still persist today. Southern Living, "Fall 2018 Book Releases We're Excited to Read"
Two sisters separated by a war and an ocean are at the center of this new novel by Eugenia Kim. In it, one daughter is left behind in South Korea while her family takes her sister to the United States in hopes of building a new life. This is a stirring novel about family and the sacrifices made to keep it whole. Though the novel is quiet and occasionally dense with historical exposition, it offers a valuable window into Korean history as well as to issues like immigration and assimilation that couldn't be more relevant today. Starred Review. [A] heartfelt story, one which will greatly appeal to readers who enjoy the multicultural novels of Lisa See and Amy Tan, stories that enlighten as well as entertain. Eugenia Kim's The Kinship of Secrets is a beautiful allegory of loss and recovery. Through the parallel growth of two separated sisters, Kim bears witness to the fall and rise of a nation and its resilient and generous people. The Kinship of Secrets is a gorgeous achievement. I felt as though I had stepped into a graceful story of two countries, South Korea and America, and family ties that survive the challenges of history. 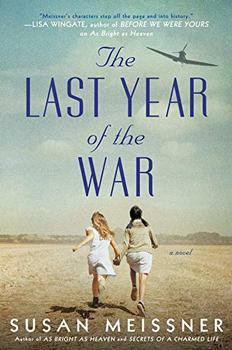 What an extraordinary time to read this heartfelt novel about the bonds of family, set against the backdrop of the Korean War. Eugenia Kim is a masterful storyteller who makes her characters come to life as she spans decades, continents, and cultures. The Korean War has been called 'the forgotten war' in the West, but Kim's second novel, a powerful narrative about the ways families relentlessly love and protect each other despite immense challenges, is a story that demands to be remembered, along with its history. The Kinship of Secrets is both a meditation on homesickness and celebration of homecoming that made me appreciate the complicated bonds between sisters, between mothers and daughters, and love for relatives that become surrogate parents. A beautiful novel, and a necessary, important story for our times. A gripping story of war and immigration, as well as a tender meditation on what it means to be of a family and of a country. In Eugenia Kim's novel The Kinship of Secrets sisters Inja and Miran are separated by the military action known in Western countries as the Korean War. Officially a "police action" – war was never declared – it is frequently referred to as "the Forgotten War" or the "Unknown War," as many Americans knew little about it due to government censorship of its coverage at the time. South Koreans generally refer to it as the six-two-five-war (yook-ee-oh junjeng) for the day and month in 1950 that the conflict began, while the North Koreans refer to it as the Fatherland Liberation War. China, which also became involved in the hostilities, officially calls it the War to Resist America and Aid Korea.